What's the Difference Between Home Care and Home Health Care? Have you or your loved one been considering home care or home health care? States differ in their requirements of home care providers, causing some ambiguity of terminology within the industry. In some states, there is a difference between the terms home care and home health care. 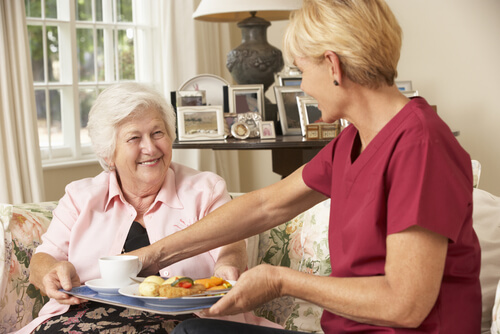 Home health care refers to care administered at home by a healthcare professional, such as a visiting nurse. In contrast, home care mostly refers to private duty providers who are not medically certified. In other states, there is no clear difference between the two. For the purposes of clearing up any ambiguity, we at 1-800-HOMECARE have broken down how each state governs the home health care industry so that you can find the right provider for your needs. If you are looking for home care in Alabama you need to understand that the terms home care and home health are used interchangeably. When you speak with a provider, you need to ask whether the services they offer are medical or nonmedical. Nonmedical and private duty home care providers will require you to pay out of pocket, while medical home health care is covered by medicare. Many agencies provide both types of services and rely on a visiting nurse to oversee home health aides in charge of your care. If you are looking for home care in Alaska you need to know ahead of time what kinds of services you need. Do you require medical care at home? Or do you simply need an in-home companion service? Depending on your needs, you must know what specific services is right for you as home care and home health care are two different things in your state. If you are looking for home care in Arizona you need to understand that the terms home care and home health are used interchangeably. When you speak with a provider, you need to ask whether the services they offer are medical or nonmedical. Nonmedical and private duty home care providers will require you to pay out of pocket, while medical home health care is covered by medicare. Many agencies provide both types of services and rely on a visiting nurse to oversee home health aides in charge of your care. If you are looking for home care in Arkansas you need to know ahead of time what kinds of services you need. Do you require medical care at home? Or do you simply need an in-home companion service? Depending on your needs, you must know what specific services is right for you as home care and home health care are two different things in your state. If you are looking for home care in California you need to understand that the terms home care and home health are used interchangeably. When you speak with a provider, you need to ask whether the services they offer are medical or nonmedical. Nonmedical and private duty home care providers will require you to pay out of pocket, while medical home health care is covered by medicare. Many agencies provide both types of services and rely on a visiting nurse to oversee home health aides in charge of your care. If you are looking for home care in Colorado you need to know ahead of time what kinds of services you need. Do you require medical care at home? Or do you simply need an in-home companion service? Depending on your needs, you must know what specific services is right for you as home care and home health care are two different things in your state. 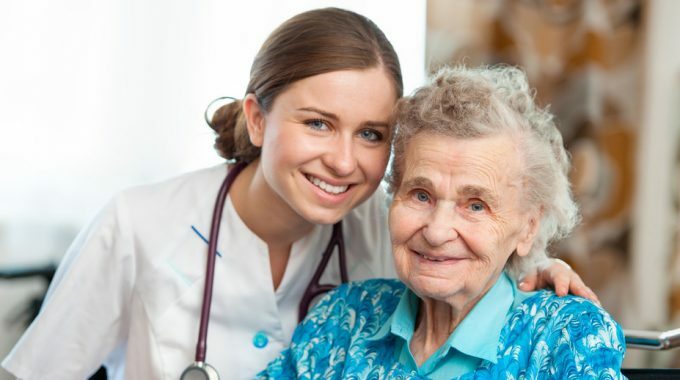 If you are looking for home care in Connecticut you need to understand that the terms home care and home health are used interchangeably. When you speak with a provider, you need to ask whether the services they offer are medical or nonmedical. Nonmedical and private duty home care providers will require you to pay out of pocket, while medical home health care is covered by medicare. Many agencies provide both types of services and rely on a visiting nurse to oversee home health aides in charge of your care. If you are looking for home care in Delaware you need to know ahead of time what kinds of services you need. Do you require medical care at home? Or do you simply need an in-home companion service? Depending on your needs, you must know what specific services is right for you as home care and home health care are two different things in your state. If you are looking for home care in Florida you need to know ahead of time what kinds of services you need. Do you require medical care at home? Or do you simply need an in-home companion service? Depending on your needs, you must know what specific services is right for you as home care and home health care are two different things in your state. If you are looking for home care in Georgia you need to understand that the terms home care and home health are used interchangeably. When you speak with a provider, you need to ask whether the services they offer are medical or nonmedical. Nonmedical and private duty home care providers will require you to pay out of pocket, while medical home health care is covered by medicare. Many agencies provide both types of services and rely on a visiting nurse to oversee home health aides in charge of your care. If you are looking for home care in Hawaii you need to know ahead of time what kinds of services you need. Do you require medical care at home? Or do you simply need an in-home companion service? Depending on your needs, you must know what specific services is right for you as home care and home health care are two different things in your state. If you are looking for home care in Idaho you need to understand that the terms home care and home health are used interchangeably. When you speak with a provider, you need to ask whether the services they offer are medical or nonmedical. Nonmedical and private duty home care providers will require you to pay out of pocket, while medical home health care is covered by medicare. Many agencies provide both types of services and rely on a visiting nurse to oversee home health aides in charge of your care. If you are looking for home care in Illinois you need to know ahead of time what kinds of services you need. Do you require medical care at home? Or do you simply need an in-home companion service? Depending on your needs, you must know what specific services is right for you as home care and home health care are two different things in your state. If you are looking for home care in Indiana you need to know ahead of time what kinds of services you need. Do you require medical care at home? Or do you simply need an in-home companion service? Depending on your needs, you must know what specific services is right for you as home care and home health care are two different things in your state. If you are looking for home care in Iowa you need to know ahead of time what kinds of services you need. Do you require medical care at home? Or do you simply need an in-home companion service? Depending on your needs, you must know what specific services is right for you as home care and home health care are two different things in your state. If you are looking for home care in Kansas you need to know ahead of time what kinds of services you need. Do you require medical care at home? Or do you simply need an in-home companion service? Depending on your needs, you must know what specific services is right for you as home care and home health care are two different things in your state. If you are looking for home care in Kentucky you need to know ahead of time what kinds of services you need. Do you require medical care at home? Or do you simply need an in-home companion service? Depending on your needs, you must know what specific services is right for you as home care and home health care are two different things in your state. If you are looking for home care in Louisiana you need to understand that the terms home care and home health are used interchangeably. When you speak with a provider, you need to ask whether the services they offer are medical or nonmedical. Nonmedical and private duty home care providers will require you to pay out of pocket, while medical home health care is covered by medicare. Many agencies provide both types of services and rely on a visiting nurse to oversee home health aides in charge of your care. If you are looking for home care in Maine you need to understand that the terms home care and home health are used interchangeably. When you speak with a provider, you need to ask whether the services they offer are medical or nonmedical. Nonmedical and private duty home care providers will require you to pay out of pocket, while medical home health care is covered by medicare. Many agencies provide both types of services and rely on a visiting nurse to oversee home health aides in charge of your care. If you are looking for home care in Maryland you need to know ahead of time what kinds of services you need. Do you require medical care at home? Or do you simply need an in-home companion service? Depending on your needs, you must know what specific services is right for you as home care and home health care are two different things in your state. If you are looking for home care in Massachusetts you need to know ahead of time what kinds of services you need. Do you require medical care at home? Or do you simply need an in-home companion service? Depending on your needs, you must know what specific services is right for you as home care and home health care are two different things in your state. If you are looking for home care in Michigan you need to understand that the terms home care and home health are used interchangeably. When you speak with a provider, you need to ask whether the services they offer are medical or nonmedical. Nonmedical and private duty home care providers will require you to pay out of pocket, while medical home health care is covered by medicare. Many agencies provide both types of services and rely on a visiting nurse to oversee home health aides in charge of your care. If you are looking for home care in Minnesota you need to understand that the terms home care and home health are used interchangeably. When you speak with a provider, you need to ask whether the services they offer are medical or nonmedical. Nonmedical and private duty home care providers will require you to pay out of pocket, while medical home health care is covered by medicare. Many agencies provide both types of services and rely on a visiting nurse to oversee home health aides in charge of your care. If you are looking for home care in Mississippi you need to know ahead of time what kinds of services you need. Do you require medical care at home? Or do you simply need an in-home companion service? Depending on your needs, you must know what specific services is right for you as home care and home health care are two different things in your state. If you are looking for home care in Missouri you need to understand that the terms home care and home health are used interchangeably. When you speak with a provider, you need to ask whether the services they offer are medical or nonmedical. Nonmedical and private duty home care providers will require you to pay out of pocket, while medical home health care is covered by medicare. Many agencies provide both types of services and rely on a visiting nurse to oversee home health aides in charge of your care. If you are looking for home care in Montana you need to understand that the terms home care and home health are used interchangeably. When you speak with a provider, you need to ask whether the services they offer are medical or nonmedical. Nonmedical and private duty home care providers will require you to pay out of pocket, while medical home health care is covered by medicare. Many agencies provide both types of services and rely on a visiting nurse to oversee home health aides in charge of your care. If you are looking for home care in Nebraska you need to know ahead of time what kinds of services you need. Do you require medical care at home? Or do you simply need an in-home companion service? Depending on your needs, you must know what specific services is right for you as home care and home health care are two different things in your state. If you are looking for home care in Nevada you need to know ahead of time what kinds of services you need. Do you require medical care at home? Or do you simply need an in-home companion service? Depending on your needs, you must know what specific services is right for you as home care and home health care are two different things in your state. If you are looking for home care in New Hampshire you need to know ahead of time what kinds of services you need. Do you require medical care at home? Or do you simply need an in-home companion service? Depending on your needs, you must know what specific services is right for you as home care and home health care are two different things in your state. If you are looking for home care in New Jersey you need to understand that the terms home care and home health are used interchangeably. When you speak with a provider, you need to ask whether the services they offer are medical or nonmedical. Nonmedical and private duty home care providers will require you to pay out of pocket, while medical home health care is covered by medicare. Many agencies provide both types of services and rely on a visiting nurse to oversee home health aides in charge of your care. If you are looking for home care in New Mexico you need to know ahead of time what kinds of services you need. Do you require medical care at home? Or do you simply need an in-home companion service? Depending on your needs, you must know what specific services is right for you as home care and home health care are two different things in your state. 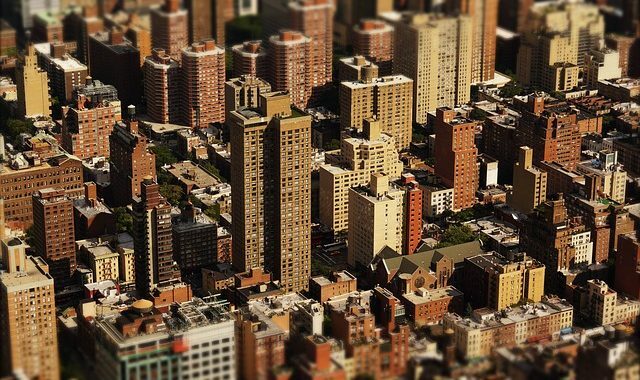 If you are looking for home care in New York you need to know ahead of time what kinds of services you need. Do you require medical care at home? Or do you simply need an in-home companion service? Depending on your needs, you must know what specific services is right for you as home care and home health care are two different things in your state. If you are looking for home care in North Carolina you need to understand that the terms home care and home health are used interchangeably. When you speak with a provider, you need to ask whether the services they offer are medical or nonmedical. Nonmedical and private duty home care providers will require you to pay out of pocket, while medical home health care is covered by medicare. Many agencies provide both types of services and rely on a visiting nurse to oversee home health aides in charge of your care. If you are looking for home care in North Dakota you need to understand that the terms home care and home health are used interchangeably. When you speak with a provider, you need to ask whether the services they offer are medical or nonmedical. Nonmedical and private duty home care providers will require you to pay out of pocket, while medical home health care is covered by medicare. Many agencies provide both types of services and rely on a visiting nurse to oversee home health aides in charge of your care. If you are looking for home care in Ohio you need to understand that the terms home care and home health are used interchangeably. 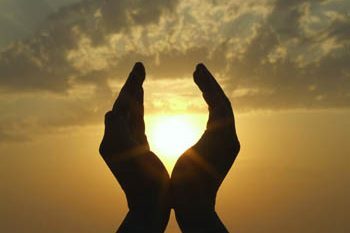 When you speak with a prover, you need to ask whether the services they offer are medical or nonmedical. Nonmedical and private duty home care providers will require you to pay out of pocket, while medical home health care is covered by medicare. Many agencies provide both types of services and rely on a visiting nurse to oversee home health aides in charge of your care. If you are looking for home care in Oklahoma you need to understand that the terms home care and home health are used interchangeably. When you speak with a provider, you need to ask whether the services they offer are medical or nonmedical. Nonmedical and private duty home care providers will require you to pay out of pocket, while medical home health care is covered by medicare. Many agencies provide both types of services and rely on a visiting nurse to oversee home health aides in charge of your care. If you are looking for home care in Oregon you need to understand that the terms home care and home health are used interchangeably. When you speak with a provider, you need to ask whether the services they offer are medical or nonmedical. Nonmedical and private duty home care providers will require you to pay out of pocket, while medical home health care is covered by medicare. Many agencies provide both types of services and rely on a visiting nurse to oversee home health aides in charge of your care. If you are looking for home care in Pennsylvania you need to understand that the terms home care and home health are used interchangeably. When you speak with a provider, you need to ask whether the services they offer are medical or nonmedical. Nonmedical and private duty home care providers will require you to pay out of pocket, while medical home health care is covered by medicare. Many agencies provide both types of services and rely on a visiting nurse to oversee home health aides in charge of your care. If you are looking for home care in Rhode Island you need to know ahead of time what kinds of services you need. Do you require medical care at home? Or do you simply need an in-home companion service? Depending on your needs, you must know what specific services is right for you as home care and home health care are two different things in your state. If you are looking for home care in South Carolina you need to know ahead of time what kinds of services you need. Do you require medical care at home? Or do you simply need an in-home companion service? Depending on your needs, you must know what specific services is right for you as home care and home health care are two different things in your state. If you are looking for home care in South Dakota you need to understand that the terms home care and home health are used interchangeably. When you speak with a provider, you need to ask whether the services they offer are medical or nonmedical. Nonmedical and private duty home care providers will require you to pay out of pocket, while medical home health care is covered by medicare. Many agencies provide both types of services and rely on a visiting nurse to oversee home health aides in charge of your care. If you are looking for home care in Tennessee you need to know ahead of time what kinds of services you need. Do you require medical care at home? Or do you simply need an in-home companion service? Depending on your needs, you must know what specific services is right for you as home care and home health care are two different things in your state. If you are looking for home care in Texas you need to know ahead of time what kinds of services you need. Do you require medical care at home? Or do you simply need an in-home companion service? Depending on your needs, you must know what specific services is right for you as home care and home health care are two different things in your state. If you are looking for home care in Utah you need to know ahead of time what kinds of services you need. Do you require medical care at home? Or do you simply need an in-home companion service? Depending on your needs, you must know what specific services is right for you as home care and home health care are two different things in your state. 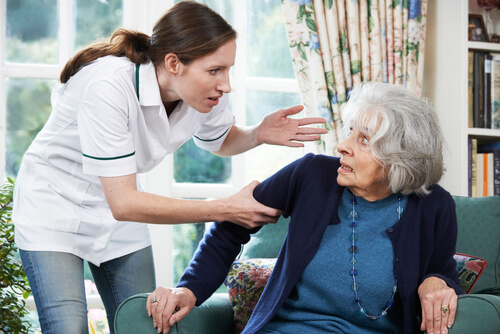 If you are looking for home care in Vermont you need to understand that the terms home care and home health are used interchangeably. When you speak with a provider, you need to ask whether the services they offer are medical or nonmedical. Nonmedical and private duty home care providers will require you to pay out of pocket, while medical home health care is covered by medicare. Many agencies provide both types of services and rely on a visiting nurse to oversee home health aides in charge of your care. If you are looking for home care in Virginia you need to know ahead of time what kinds of services you need. Do you require medical care at home? Or do you simply need an in-home companion service? Depending on your needs, you must know what specific services is right for you as home care and home health care are two different things in your state. If you are looking for home care in Washington you need to know ahead of time what kinds of services you need. Do you require medical care at home? Or do you simply need an in-home companion service? Depending on your needs, you must know what specific services is right for you as home care and home health care are two different things in your state. If you are looking for home care in Washington, D.C. you need to know ahead of time what kinds of services you need. Do you require medical care at home? Or do you simply need an in-home companion service? Depending on your needs, you must know what specific services is right for you as home care and home health care are two different things in your state. If you are looking for home care in West Virginia you need to know ahead of time what kinds of services you need. Do you require medical care at home? Or do you simply need an in-home companion service? Depending on your needs, you must know what specific services is right for you as home care and home health care are two different things in your state. If you are looking for home care in Wisconsin you need to know ahead of time what kinds of services you need. Do you require medical care at home? Or do you simply need an in-home companion service? Depending on your needs, you must know what specific services is right for you as home care and home health care are two different things in your state. If you are looking for home care in Wyoming you need to know ahead of time what kinds of services you need. Do you require medical care at home? Or do you simply need an in-home companion service? Depending on your needs, you must know what specific services is right for you as home care and home health care are two different things in your state. previous post: CNA and HHA: What’s the Difference? next post: Is It Time to Rethink Home Care?